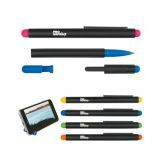 Touchscreen devices are the future, so custom stylus pens and tools are here to stay. 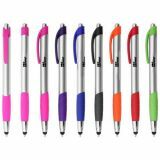 Stylus pens possess ink tip and stylus tip that allow users to work on paper and touchscreen gadgets simultaneously. 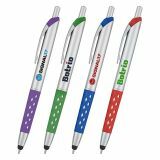 When paired with a phone stand, screen cleaner or presented by their own, these logo printed stylus pens will allow you to become part of your customer’s tech routine! 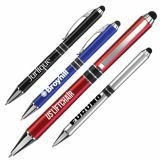 We offer 100% customer satisfaction guarantee and our experts will help in selecting the right product to customization and delivery. 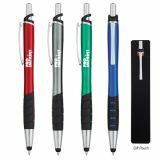 Promotional stylus pens and tools have become one of the popular ways to market any kind of business because everyone uses one or the other kind of touchscreen devices. 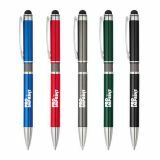 Do you get confused about the choice of gift for tradeshow, annual business meets, New Year, Thanksgiving and Christmas? 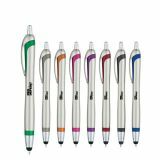 Look no further, you can easily rely on these stylus pens and tools. 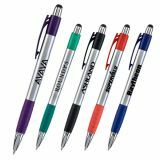 From startup businesses to family businesses and high end businesses, everyone can invest in these thoughtful gifts and distribute them during tradeshows, business conferences, and conventions or as complement with electronic purchases. 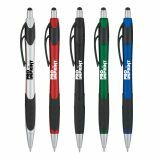 After giving away these useful promotional gifts, you can easily map positive results within a short period of time. 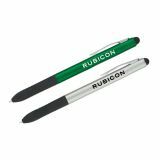 Your customers will be using these stylus pens and tools every single day for scribbling over paper and changing functions over their touchscreen devices. 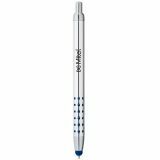 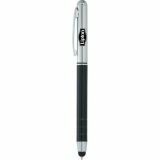 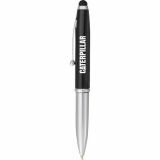 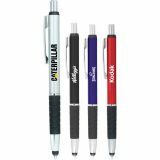 ProImprint provides you a vast range of stylus pens and tools that can be printed with your brand logo or campaign slogan. 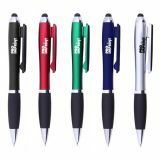 The main advantage of these stylus pens is that you can use them over all types of tablets, smart phones, iPads, iPhones, etc. 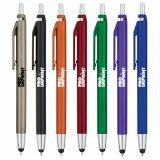 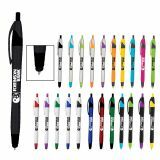 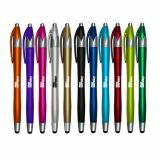 All our promotional stylus pens come in vast range of colors which may leave you in dilemma about the right choice. 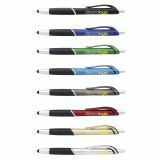 Most of these stylus pens and tools possess sleek design which means the imprint area over them is very scant. 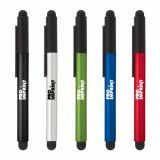 Our team of graphic experts will help you to make the best use of this imprint area. 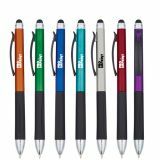 They will help you to print your brand logo or brand slogan with great precision by employing the latest printing techniques. 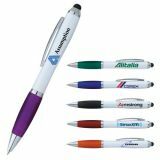 Our printing techniques vary from engraving, pad printing and screen printing. 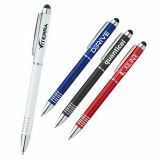 Advertising campaigns involving purposeful business gifts will help you in raising brand awareness and impressing your customers. 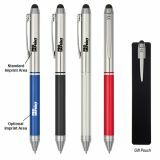 Stylus pens being compact sized, most of your customers will be compelled to carry them and use them over their touchscreen devices. 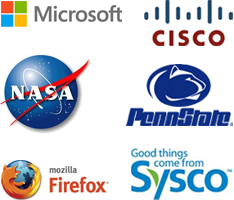 This means your brand name is destined to become an undeniable part of their touchscreen browsing experience. 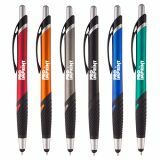 Believe us, there are very few promotional products that will give you effective and positive branding experience as these customized stylus pens and tools. 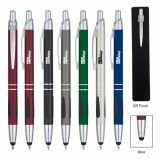 Call our promotional gadget experts to get help on selection, customization and customer service. 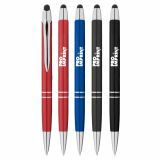 You can call us at 844-776-4677 or email us at info@proimprint.com to get started today.